Week 3 of the daily league has gone on smoothly. On a personal note, the variants have suited me a lot. I have been quite good in recent times on various sites when it comes to Diagonals and Irregulars and Killer is always a favorite. So this week has seen me get a few top times (so far!) and I’m quite happy with my solving here. My last post teased Bastien’s Diagonal. It is now available for solving here. 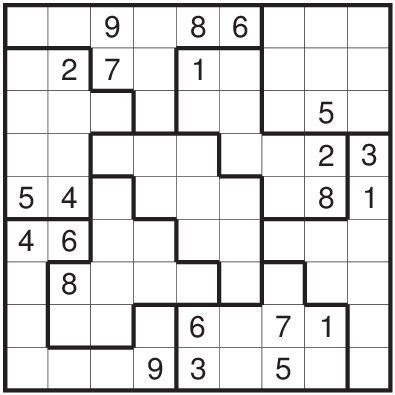 Also available are an Irregular-Nonconsecutive combination sudoku by Rishi, and an Irregular Sudoku with a cool layout by Tom. For more details on how you can compete in the solving or contribute in the creating, do check out our facebook group. For 278 : Follow regular Sudoku rules. 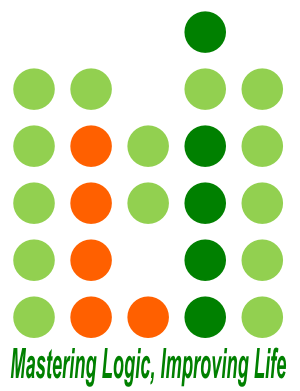 Instead of 3×3 boxes, there are 9-cell regions that must contain the digits 1-9. For 279 : Follow Parquet rules. 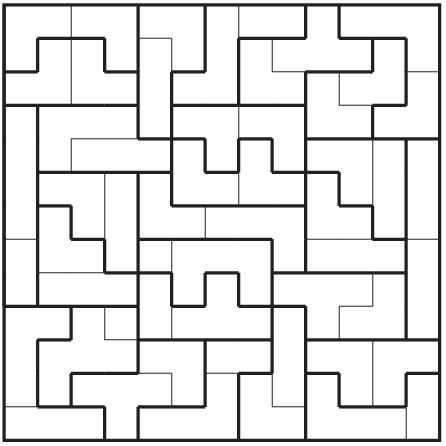 Instead of 2×2 areas, there are irregular areas of different sizes that are divided into two smaller areas, exactly one of which must be shaded.